Shopping on Amazon.com just got even better!!! Amazon will donate 0.5% of the price of your eligible purchases to Furkids whenever you shop on AmazonSmile. AmazonSmile is the same Amazon you know. Same products, same prices, same service, but now your purchases can help homeless animals at Furkids! Visit smile.amazon.com and search for Furkids as a charity OR visit this link directly and login. You can use your already existing Amazon account. Make sure to bookmark the page! Read the FAQ on Amazon Smile for more in depth information. Did you know you can support Furkids just by shopping at Kroger with your Kroger Plus Card? 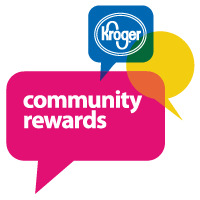 It’s easy when you enroll in Kroger Community Rewards! ALL DONE! You will now be earning money for Furkids every time you shop at Kroger! 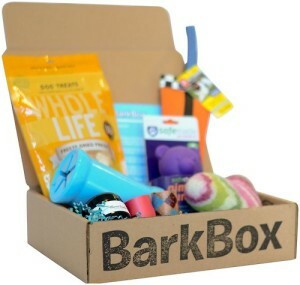 When you sign up for BarkBox, every month you will receive a box in the mail with four or more carefully selected products and presents for your dog – anything from toys, bones and all-natural treats to hygiene products and innovative new gadgets! They have subscriptions for small, medium and large dogs. Every subscription purchased through our link will generate a $15 donation for Furkids and 10% off your purchase! Visit BarkBox now through our special link and receive your 10% discount. ResQwalk (Android or iPhone) enables you to raise money for animal rescues and shelters just by going for a walk! It’s free. It’s easy. And you can help save lives. They also have a online store called ResQthreads. Furkids receives part of the profits when you purchase any of their merchandise. 2. Choose Furkids as your charity of choice. 3. Each time you go on a walk or run, start and stop the App. The more miles our fans log, the more of the weekly donation pool our shelter will receive. It is THAT simple. 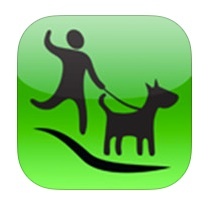 Use this free app every time you walk your dog! Every mile you walk, they donate to the animal shelter or rescue organization of your choice. The more you Take your Walk for a Dog, the more they can donate. 3. 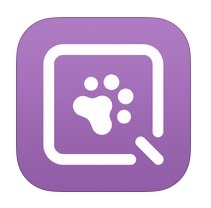 Create profiles of your canine walking partners (optional). 4. Each time you go on a walk or run, start and stop the App. The more miles our fans log, the more donations our shelters will receive. It is THAT simple. 40% of each magazine subscription to Animal Wellness is donated to Furkids using our promotion code: AWA222! A subscription only costs $24 and makes a wonderful gift for the animal lover in your home or office! Visit www.animalwellnessmagazine.com/subscribe to learn more. Animal Wellness magazine features articles and tips to keep your feline or canine family members healthy with medical, nutritional and behavioral advice.